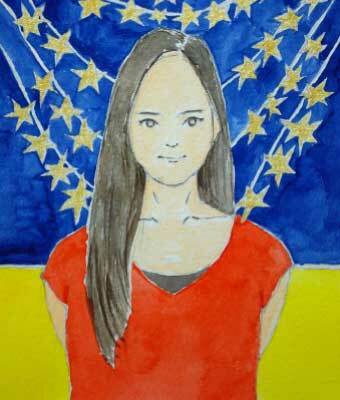 She was born in Tokyo, Japan and graduated from School of Commerce at WASEDA university. After studying art in New York and London (Sotheby's Institute of Art), she established yukari-art, inc. (the predecessor of YUKARI ART) in 2005. YUKARI ART (established in 2005, formerly known as yukari-art, inc.) is based in Tokyo, and represents 6 Japanese contemporary artists. We specialize in managing artists, producing exhibitions and dealing with artworks. It is our director Yukari Mizuma’s wish to support the artists who grew up in the same era as herself, and promote their artworks to Japan and overseas. Yukari does focuses on representing artists in her generation because she would like to introduce artists and their artworks more confidently and convincingly. It is also our policy that we maintain a small number of selected artists and treat them with courtesy. Our gallery space opened in 2007, and now only run a small window gallery "YUKARI ART mini" to prioritize areas related to artists' management due to high demand of our artists' broad range of activities out of gallery space. For more details on our activities and philosophy, please read the director’s message below. Welcome to YUKARI ART website! It was about a decade ago in 2007, when I started focusing on managing artists from the same generation as me. Before then, I had handled a variety of works including those created by senior Japanese artists, and also dealt with the works by artists from various countries, as I mostly studied art overseas, outside of Japan. Working with them was very much enjoyable, fulfilling and a great learning experience. However, at the same time, I used to have a feeling that something was not right or not enough for me to deal with their works with full confidence and persuasiveness. It was because I had not actually lived the same times and had not experienced the same cultural and historical backgrounds as them. Works of art are not essential items for our daily life, and it costs a lot to acquire them. Given the significant amount of money paid by our clients, I wanted them to trust in me as a person; I wanted to comprehend the art I deal with to the greatest extent possible;I wanted to represent the artists fully to introduce their works confidently with all my heart. With this in mind, I decided to put my focus on working with artists of the same generation, who share more similar tastes, and are closer in terms of our common background. A little over ten years ago, we were all young, single and in our twenties. But now, many of us are even raising our own children. I am very proud that I have been able to share a history with the artists, not only at work, but also in their personal lives; they are just like family to me. Since day one, my motto at YUKARI ART has been to build a small, yet special presence as a company. We would not turn into a big chain store with a name that is known wherever you go in the world; we would like to be a discerning boutique, of which there is always one in a city. Today, the age in which we are living is one of upheaval and turbulence. Such an age has a tendency that people feel tensed and harden their heart; so I would like people who look at our artists’ works to feel moved, and stimulated in some sort of positive way. I have always been committed myself to the management of these kinds of artworks. Contrary to our current age of mass production and efficiency, our artists create their works meticulously by hand like craftsmen with the traditional ethic. Accordingly, their works are few in number. Therefore we never promote our artworks nor conduct marketing for sales purposes. Our concept is not “selling” the works nor “ having them bought”. Rather, we just “share ” the works with those who really like them and have a genuine passion to acquire them. We consider that a work of art is something that people buy because they think by themselves “ I want this”, but not something that we could induce them into buying. As we always have, and always will continue to connect precious artworks and our customers, one by one, with the greatest care. Just as there is a variety of countries, ethnicities and cultures around the world, diversity should be recognized in artworks, artists and their management. The number of artists on earth is on a par with the number of stars in the sky. Our mission is to support the artists who have keen awareness of our contemporary society, while committing themselves to the old fashioned craftsmanship. It is our utmost pleasure if our artist is onto the radar of people with similar kinds of taste. If you find your favourite artist from us, if you ever find one work that you like,please “Like” it , “Share” it with others around you, and “Tag” #YUKARI ART #artist’ s name. Doing so would give our artists inspirations, more confidence to move forward, and incentives to challenge something new. If you are lucky enough to afford to purchase one of our works, please welcome it as a part of your family, and show it to the people around you. This will directly support them to continue to work as artists and create their brand new pieces.Your help and support mean a lot to us! In closing, I would like to mention that YUKARI ART has currently put gallery space operations on hold, and is focusing on artist management and dealing with artworks.Right at the stage when the activities of our artists outside the gallery were expanding, and the importance of artist management was increasing, we were affected by the Great East Japan Earthquake, even in our hometown Tokyo.A subsequent issue with the soundness of old building that we were in, brought about a temporary break in the gallery activity. Coincidentally in my personal life, relocation to abroad came after that. However, since I personally believe that just like there is no substitute for seeing a real life performance on stage, it is important to experience and feel things fully by using our five senses. Therefore, we are planning to reopen our gallery space eventually. Thankfully, for more than one decade since the founding of yukari-art,Inc., predecessor of YUKARI ART, to the present break in gallery operations, we continue to enjoy the support of our customers and our business has developed steadily. We assume that this is in large part due to the age of the Internet. What an interesting era we are living in! I had worked on gallery bases for a long time. What I learned through this experience is that the number of people who could actually enter the gallery door was limited, no matter how much I tried to welcome as many people as possible. As I said, due to the fact that our artists create the works painstakingly by hand, and their works are few in number, consequently, they were not blessed with enough opportunity showing their works to that many people. However, such situation has dramatically changed, thanks to the power of the Internet. This made it possible for our artists to receive plenty of feedback on their pieces from people in countries they’ve even never visited. Furthermore, customers who have never seen the actual artworks even once in person, now take on the ownership of many of the pieces we deal with. It is evident that the strong spirit of our artists that they have put into every single piece, would reach out to the people even through the screen. To mark the occasion of our tenth year, our website has been given an upgrade. We sincerely look forward to the opportunity connecting with even more of you! YUKARI ART would like to keep working on uniquely, freely and intuitively at our own pace, without being tied down by anything, anywhere. We hope that our activities are able to touch the hearts of people all around the world- no matter how small. Once again, I thank you for visiting YUKARI ART website, and taking the time to read my message! ※ If you have any inquiries, please e-mail us from the contact page.